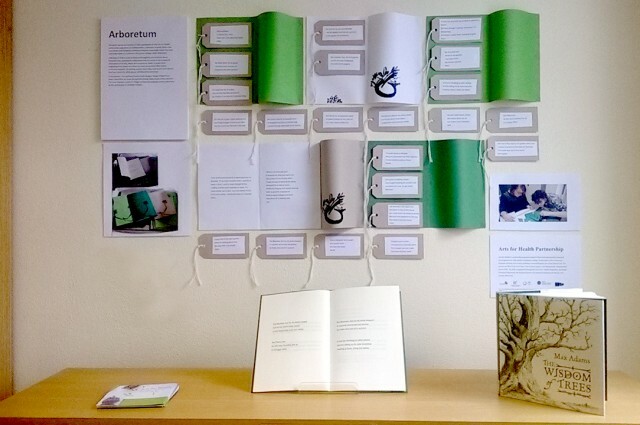 ‘Arboretum’ is a collection of creative writings made with participants across three West Cork healthcare settings. 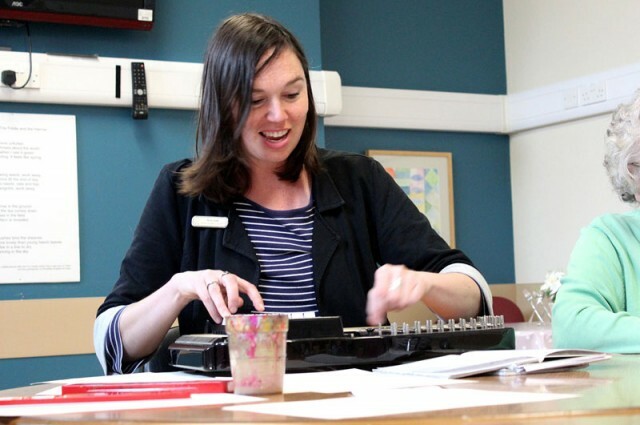 Participants on the Arts for Health partnership programme in Castletownbere Community Hospital, Bantry Day Care Centre and Clonakilty Community Hospital worked with artists Tess Leak and Sarah Ruttle. Following on from a series of lively and thoughtful conversations over the spring and summer about favourite trees, each participant collaborated with the artists in the creation of short pieces of writing. Many were inspired by ‘Haiku,’ the poetic form originating from Japan and others are more prose-like in their nature. In the two hospitals, the writing sessions were often ‘one to one’ but in Bantry Day Care Centre the whole group contributed to each piece. 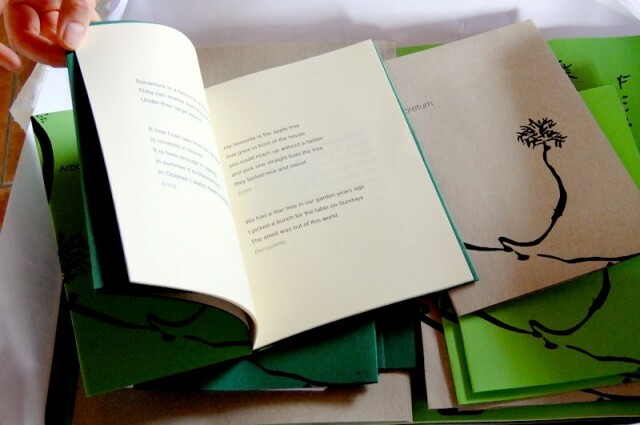 In the autumn, Tess and Sarah worked with designer Orlagh O’Brien from Haiku Island Press to create by hand this limited edition book of the collection. 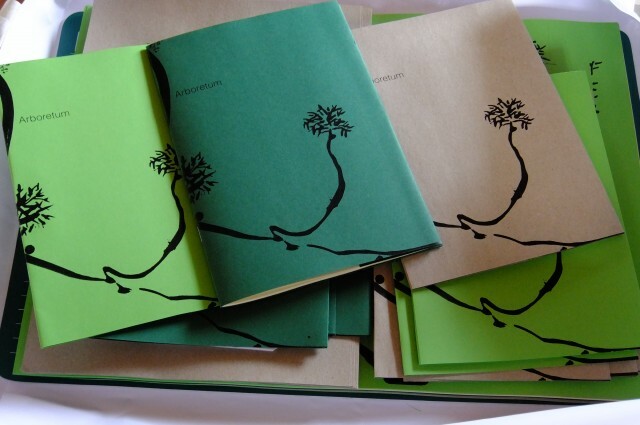 The cover features a print of a ‘Haiga’ (a haiku ink drawing) created collectively by the participants in Clonakilty Hospital. The artists would like to thank each participant for their generous and unique contributions to this collaborative project. Special thanks also to the staff of the three healthcare settings and to Justine Foster, Arts for Health Coordinator who provided the working space at the inspiring West Cork Arts Centre for a day of busy production.